It’s one of the most consistent programmes on British television – taking us around the shores of Great Britain and beyond since 2005 – and telling us some fascinating stories along the way. 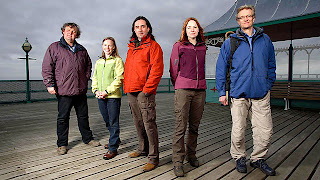 “Coast”, of course, which returns to BBC TWO and the BBC HD channel on Sunday May 13th 2012 for its seventh series – and for this series “Coast” is back home with 6 programmes focused on the UK. The first series – with Nick Crane as lead presenter – circumnavigated the whole of the coastline of the UK in 12 programmes starting and finishing in Dover. From Nazi concentration camps in the Channel Islands to the Menai Straight’s famous bridges; from a special method of "air mail" between the islands of Scarp and Harris to the first Butlins resort at Skegness, the small expert team of Nicholas Crane, Neil Oliver, Alice Roberts, Mark Horton and Miranda Krestovnikoff discovered fantastic stories from around our coast. Their different styles of presenting, wonderful & artistic camerawork, measured & impressive computer graphics, remarkably clear sound recording and intrinsic & painful research and production led to a greatly significant series – and a BAFTA win in 2005. Throughout series one, Nicholas Crane mentions more than once the series was a "once in a lifetime journey" – this may well have been the case originally, but its success ensured at least a second series came a year later in 2006. Despite the suggestion the team might run out of stories – further series came along every year (apart from 2008 for some reason) and jaunts to Ireland, France, Norway, the Faore Islands, the Netherlands, Sweden and Demark. This should bring a fantastic fresh feel to the series – and ensure it a large appeal across the UK. 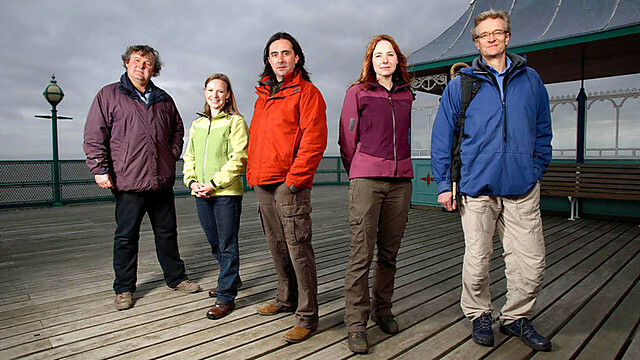 The theme of the first episode is one which has always fascinated me – “The Mysteries of the Isles”. 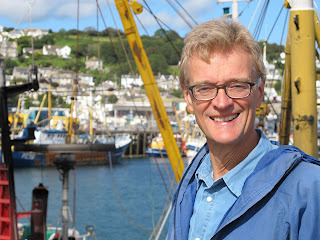 Nick Crane signs on as a deck-hand with a tall ship, reliving the great days of sail on a gruelling yet exhilarating journey between the Northern Isles of Scotland. He also hopes to fulfil a childhood ambition (and one of mine too) by setting foot on tiny Fair Isle – famous for its traditional knitwear and mentioned several times a day on the Shipping Forecast – it is the most remote populated outpost in the British Isles and home to just 70 hardy souls. At Scapa Flow on Orkney, Neil Oliver explores the conspiracy theories surrounding the mysterious death of Britain’s most famous solider of the First World War, Lord Kitchener. Kitchener, the face on the iconic poster ‘Your Country Needs You’, was one of over 600 soldiers and sailors who perished when their ship went down as they set off from Orkney to Russia on a top-secret mission in 1916 – and Neil uncovers the truth about what happened. Historian Tessa Dunlop hopes to witness an extraordinary and uplifting sight that’s special to the Western Isles of Scotland: the mysterious ‘Green Ray’, whereby a beautiful ray of green light can be glimpsed for a few precious seconds as the sun sets on the far horizon. What causes the exceptionally rare ‘Green Ray’ and how can Tessa be guaranteed to see it? 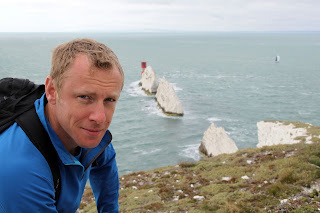 On the Isle of Wight “Coast” newcomer, ex-soldier, zoologist and climber Andy Torbet finds himself scaling slippery new heights on the Needles to conquer an amazing pinnacle of chalk jutting up vertically from the sea. Andy’s achievement might be a first for Britain; there are no records of his climb being done before. He hopes to collect a sample of the Needles’ chalk for the British Geological Survey to analyse, so they can re-write the map of Britain’s ancient rocks. There’s a special appearance by legendary Folk Singer June Tabor who tells the tale of the mysterious “Selkie’, a mythical creature that can take the shape of man or a seal. 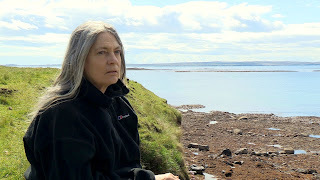 June sings the heartbreaking ‘Song of the Selkie’ a tragic traditional ballad passed down through the generations on the western isles of Scotland. I’ll let you into a secret – it was the first two series of Coast which inspired me with the style of the Walks Around Britain videos. And producing our videos has given me a fresh appreciation of the hard work all the Coast team puts in. So, I’ll be one of the roughly 3 million people watching the new series on BBC TWO and the BBC HD Channel. I hope you will be too. There's more information on the Coast website here. Many thanks - hope you'll be watching as there's few such programmes left on telly!